The battle of Adwa significance to Ethiopia, Africa and in shaping the history of black people all over the world is huge! As we all know although it was a watershed moment, the coverage it got since then is dismal. There is an effort to build a library on the spot of the epic battle ground and the organizers are asking for anyone who can donate any publication they own or have produced. They are also asking for anyone who knows a publication or book name to forward the name of the publication or book and where and how to get it. Interview with Senay G/mdhin, exiled Eritrean Journalist(ቃለ-ምልልስ ከአቶ ሰናይ ገብረመድህን) In his words! Time for some fact-checking at the New York Times? In the New York Times (January 28th) Nicholas Kristoff, in a column entitled �What�s he got to hide?�, claims he had been pursuing Ethiopia�s Prime Minister for several days at the World Economic Forum at Davos to try and ask him about �a worsening pattern of brutality in Ethiopia.� He said that Meles refused to see him. I doubt if Prime Minister Meles (who was only in Davos for a day in any case) was bothered either way by a columnist of the NYT, but he surely wouldn�t want to see a journalist who made no effort to get his facts right, didn�t do any research on the subject, and was content to merely repeat allegations from Human Rights Watch which have been comprehensively rubbished by NGOs, international agencies, donors and others. "BetreSeltan from VOA Tigrigna interview with Aboy Sibhat Nega and Dr Aregawi Berhe. Aboy Sebhat and Dr Aregawi agreed on issues that pertains TPLF-EPLF military relationship but starkly differ on issues like MLLT and drought politics. Both were senior leaders in the organization early on but Dr Aregawi left the organization because of leadership schism while Aboy Sebhat stayed until TPLF/EPRDF triumphed over Derg and has effectively transferred his leadership role in the organization since. Text of proposed UN resolution on Syria that was vetoed by Russia and China!. UNITED NATIONS (AP) -- Text of the proposed U.N. Security Council resolution on Syria that was vetoed Saturday by Russia and China:List of Co-Sponsors: Morocco, France, United Kingdom, United States, Germany, Portugal, Colombia, Togo, Libya, Bahrain, Jordan, Kuwait, Qatar, Saudi Arabia, United Arab Emirates, Oman, Turkey. If the UNSC cannot agree on saving the Syrian people knowing the predicament they are in, we wonder why Ethiopia thinks the UNSC will pass any meaningful Sanction on the one man regime in Eritrea! The future of the Nile River still hangs in the balance, but at least a team of experts are committed to evaluating the potential impact of Ethiopia�s Grand Renaissance Dam. The politics surrounding Ethiopia�s Grand Millennium Renaissance Dam changes only slightly more frequently than the project�s name, and we are excited to bring you one of the most positive updates since the saga began. Ethiopia has being posturing against Egypt�s historical monopoly of the Nile river�s waters for months, even though the country lacks the funds to see a potentially environmentally destructive 5,250MW dam to completion without help. Naysayers may be betting on lack of funds to stop the Renaissance dam but it is to no avail. The Ethiopian people have assumed ownership on this project and we all know what a determined people can do and achieve. We the Diaspora can have a lot to say on this too! Let us get involved! 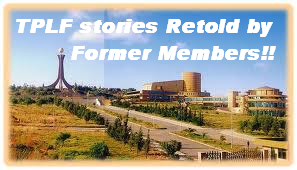 By Kaleb M. Feb 3, 2012- If you are like me who cannot sleep without good dose of news from Ethiopia you have most probably heard about state pardons on the news in the last two or three years. Even some of the worst offenders in our history have benefited from the pardon negotiated by the ever relentless 'Yager Shimagles'. �የአስመራው ንጉስ� አጣሪ ቡድኑን ምን እያሉት ነው? Seattle Tigrean Community Event Invitation! Atlanta Tigrean Community Event Invitation! Columbus, Ohio Tigrean Community Event Invitation!